Challenge: The prime reason most industrial plants still have internal, on-site maintenance staffs is to reduce repair times and unplanned downtime, which negatively impact revenue, customer satisfaction, cost, and other key business metrics. Due to this, subscription-based, IIoT-enabled predictive maintenance services are becoming increasingly attractive for manufacturers and other industrial organizations. 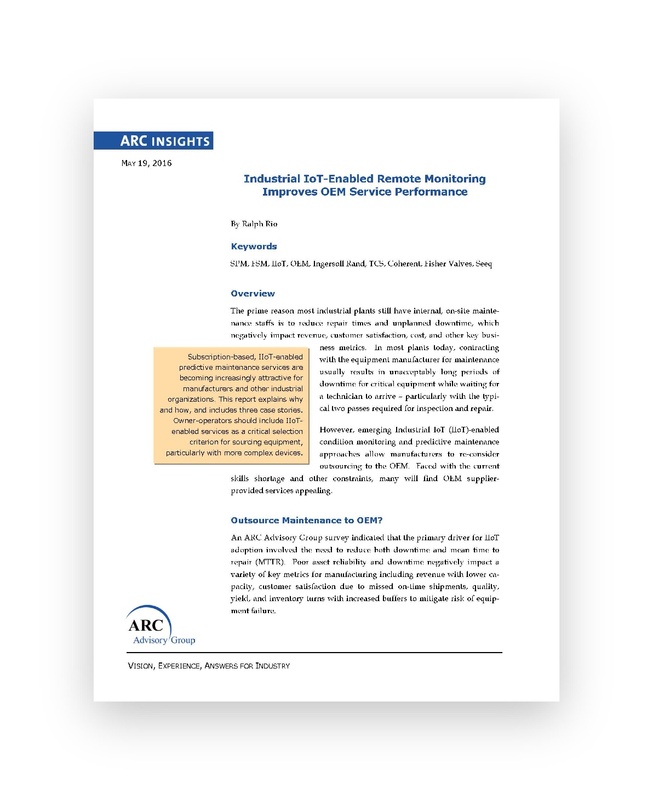 This report explains why owner-operators should include IIoT-enabled services as a critical selection criterion for sourcing equipment, particularly with more complex devices.